A rare, total eclipse of the moon on winter solstice will happen Monday night, reaching totality over New York's sky in the wee hours of Tuesday morning. The full moon will fully disappear from the sky in the Earth's shadow around 2:41 a.m.
NASA eclipse expert Fred Espenak of the Goddard Space Flight Center in Maryland predicts the moon will appear bright red or orange. "It will be interesting to watch," he said. North and Central America should be able to view the entire show, which is expected to last 3½ hours if skies are clear. Total eclipse begins at 11:41 p.m. PST Monday or 2:41 a.m. EST Tuesday. The totality phase — when the moon is entirely inside Earth's shadow — will last a little over an hour. "It's perfectly placed so that all of North America can see it," Espenak said. The Griffith Observatory perched on the south slope of Mount Hollywood in Los Angeles will host an eclipse party Monday evening although rain is forecast. Telescopes will be set out on the lawn for the public and astronomers will give free lectures on the eclipse's various stages. If clouds or rain set in, the observatory plans to stream live video of the eclipse from the Internet. Among the various outfits that will show the eclipse live is NASA, which has a camera mounted at its Marshall Space Flight Center in Huntsville, Ala.
"Our event will go on rain or shine," said Griffith Observatory astronomerAnthony Cook. U.S. Naval Observatory spokesman Geoff Chester finds solar eclipses more exciting than the lunar counterpart. But solar eclipses tend to occur in remote parts of the world while lunar eclipses are usually visible from an entire hemisphere. "If you get skunked by bad weather, all you have to do is wait a few years for the next one to come around," Chester said. 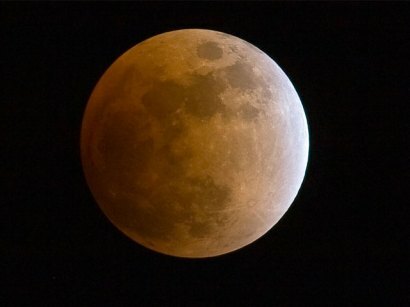 There are two total lunar eclipses in 2011 — in June and December. North America will miss the June show and witness only a part of next December eclipse.